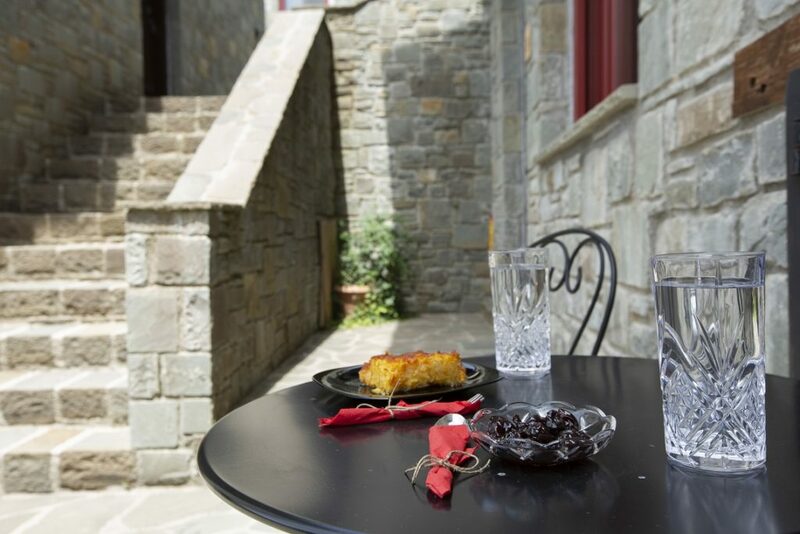 Rouista Tzoumerka Resort is a complex of stone buildings, where local, traditional architecture predominates, harmonically combining Greek nature, modern comfort, activities, enchanting wilderness and the unique beauty of the Tzoumerka mountains. 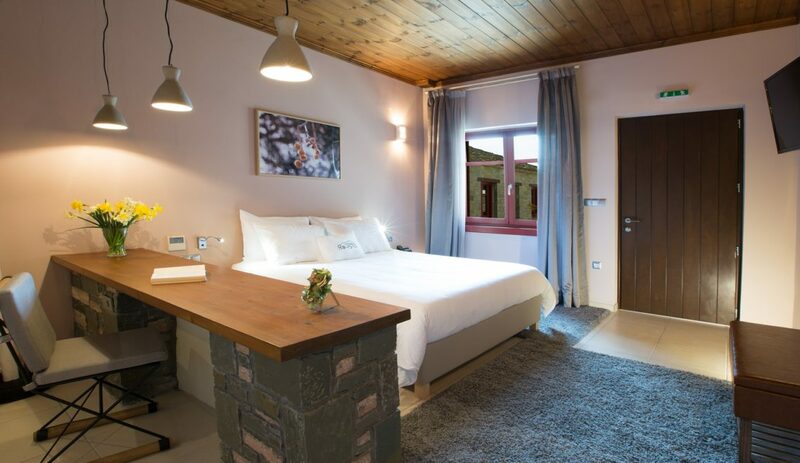 Spacious and cozy rooms, decorated in earthy tones, with Stone and Wood being the dominant element, give warmth and a sense of tranquility for a comfortable and relaxing stay. 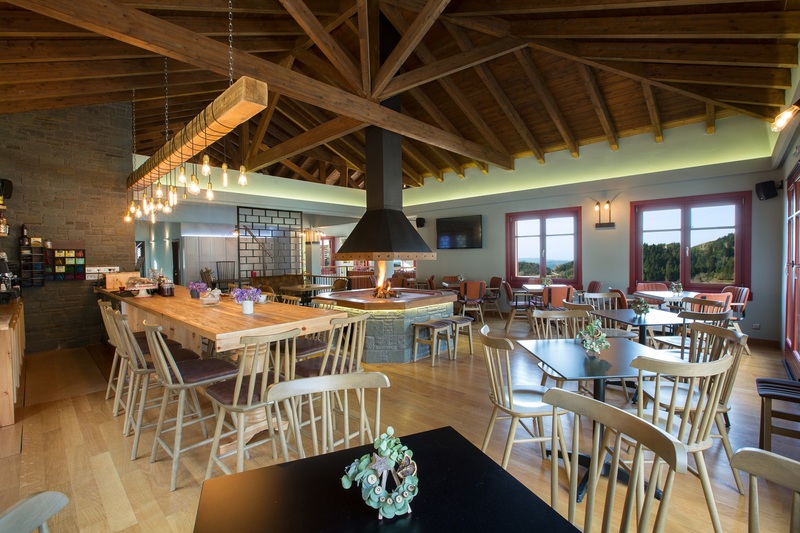 The Lounge room, with its high wooden ceiling and the large fireplace that is the focal point of the room, is the ideal setting for guests to enjoy a coffee or a drink, accompanied by homemade liqueurs and sweets, and a breathtaking view that overlooks the imposing mountain. 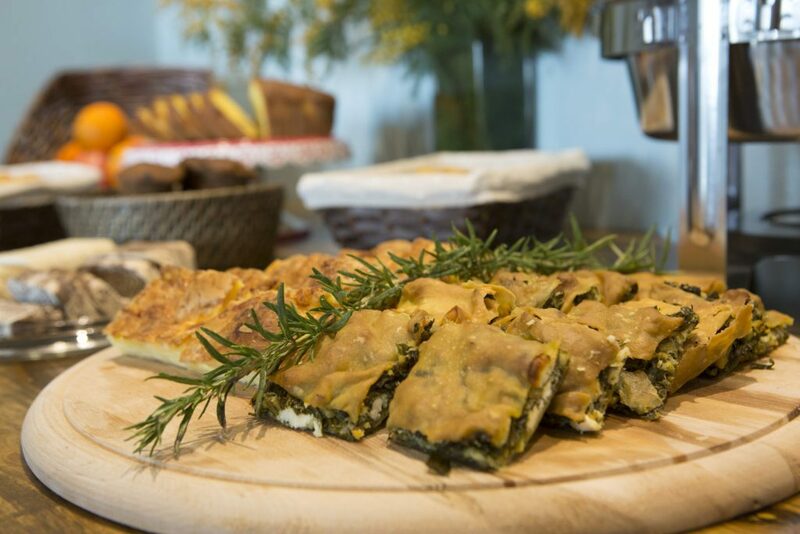 Breakfast is homemade with local products that change every day. There are many hiking trails near the hotel, while the paved square of the village is in a short distance. The owners of the hotel, young and active, take on the role of the host and their mission is to provide you with a unique experience. 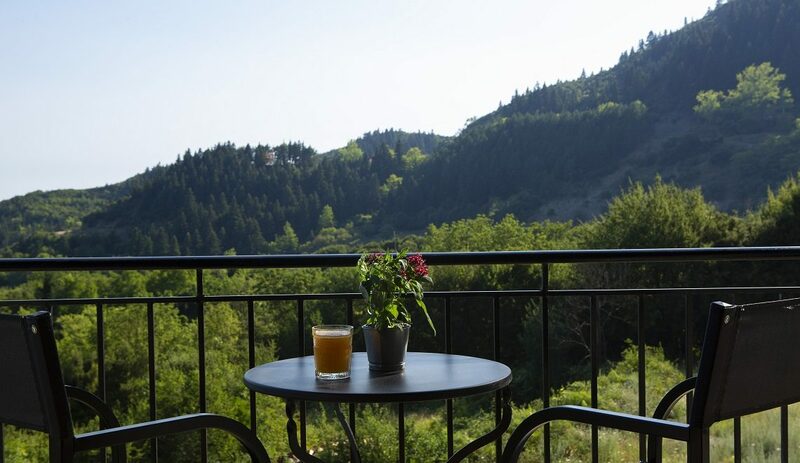 A visit to Rouista Tzoumerka Resort will remind you of the majesty of nature and the famous hospitality of the Epirus area. 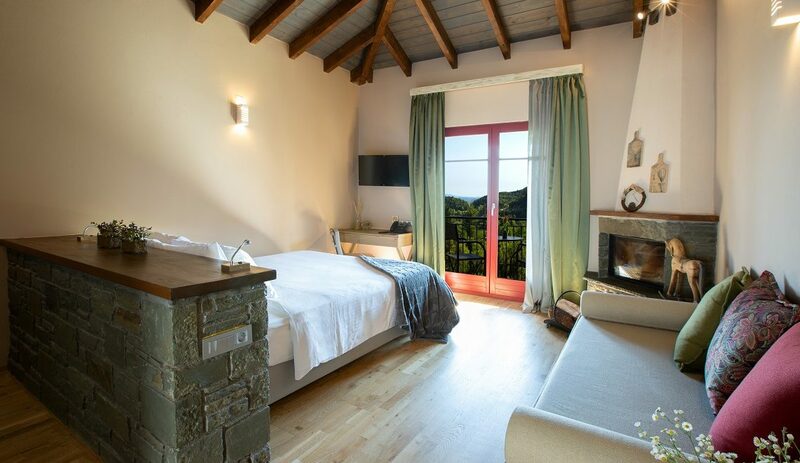 Rouista Tzoumerka Resort is located 58km from Arta, 85km from Ioannina and 90km from Trikala.